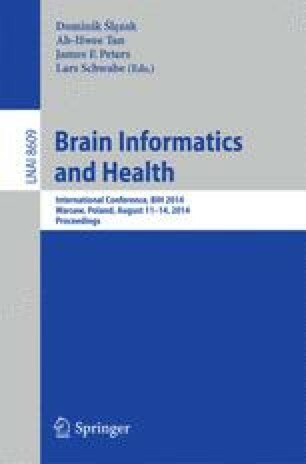 Human brain imaging techniques, such as Magnetic Resonance Imaging (MRI) or Diffusion Tensor Imaging (DTI), have been established as scientific and diagnostic tools and their adoption is growing in popularity. Statistical methods, machine learning and data mining algorithms have successfully been adopted to extract predictive and descriptive models from neuroimage data. However, the knowledge discovery process typically requires also the adoption of pre-processing, post-processing and visualisation techniques in complex data workflows. Currently, a main problem for the integrated preprocessing and mining of MRI data is the lack of comprehensive platforms able to avoid the manual invocation of preprocessing and mining tools, that yields to an error-prone and inefficient process. In this work we present K-Surfer, a novel plug-in of the Konstanz Information Miner (KNIME) workbench, that automatizes the preprocessing of brain images and leverages the mining capabilities of KNIME in an integrated way. K-Surfer supports the importing, filtering, merging and pre-processing of neuroimage data from FreeSurfer, a tool for human brain MRI feature extraction and interpretation. K-Surfer automatizes the steps for importing FreeSurfer data, reducing time costs, eliminating human errors and enabling the design of complex analytics workflow for neuroimage data by leveraging the rich functionalities available in the KNIME workbench.